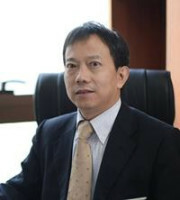 Xiaolin (Richard) Huang, a senior partner of ZY Partners, is an attorney at law and patent attorney practising in China. Mr Huang has practised patent law for over 22 years and has outstanding knowledge, experience and reputation in all patent-related IP matters. He specialises in patent prosecution, patent invalidation proceedings, patent infringement litigation, freedom-to-operate analysis, licensing, compliance with foreign filing licence regulations and service invention, patent drafting and client counselling with a focus on technologies relating to computer science, telecommunications and information technology, software, electronics, semiconductors, artificial intelligence, medical devices, physics and nuclear and solar energies. He has filed and prosecuted more than 13,000 patent applications in his name before the State Intellectual Property Office. Mr Huang has a great deal of experience representing multinational clients in complex and high-profile IP litigations, including patent infringement litigations, patent invalidation proceedings, IP ownership disputes, software copyright disputes and domain name disputes. He also has ample experience advising and counselling clients in patent evaluation and analysis, licensing and negotiation, including standard-essential patents. Mr Huang graduated with BS and MS degrees in nuclear physics from Peking University in 1991 before working as a research scientist at the China Institute of Atomic Energy for three years. 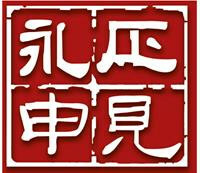 Mr Huang qualified as a patent attorney in 1996 and as an attorney at law in 1998. He participated in the IP rights training course organised by the Japanese Institute of Invention and Innovation and Association of Overseas Technician Scholarship in 1996. Mr Huang was listed as an outstanding lawyer in patent prosecution in China by the IAM Patent 1000 in 2016 and 2017. He is a member of the Licensing Executives Society China, the All China Lawyers Association and the All China Patent Agents Association. He has written various articles on IP matters, including “Inventions at the Cutting Edge” in Managing Intellectual Property magazine and “Patent Prosecution Highway in China” on TerraLex.